Congratulations! 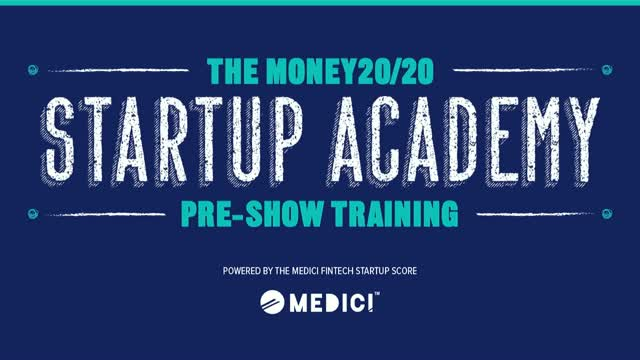 You’re amongst the industry’s newest and brightest startup companies that will make a splash at Money20/20 USA in our inaugural Startup Academy. To help you get the most out of your experience in Vegas, we’ve collaborated with Startup Academy Advisory Board members Jeffrey Gapusan and Aditya Khurejkar to share insider tips for success and along with insight on how to connect with investors and create the perfect pitch. -GDPR and PSD2: What have we learned and what’s next? -What are the flaws with current methods of authentication? -What would an ideal authentication process look like for Consumer-based websites? -What’s the future of eCommerce security? Insights from the worlds largest payments and FinTech event. Don't miss out on the world's largest payments and Financial Services innovation event straight from the buzzing city of Las Vegas. Hear the latest news and insights from some of the biggest movers and shakers in the industry as they sit on live-streamed panels and video interviews.